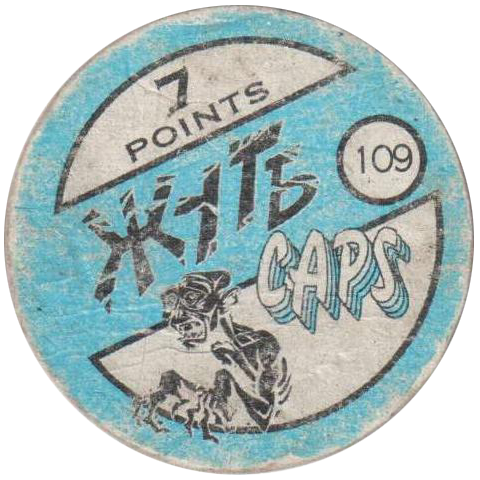 Info:Жуть caps were available in Russia, 'Жуть' roughly translates to 'Horror'. 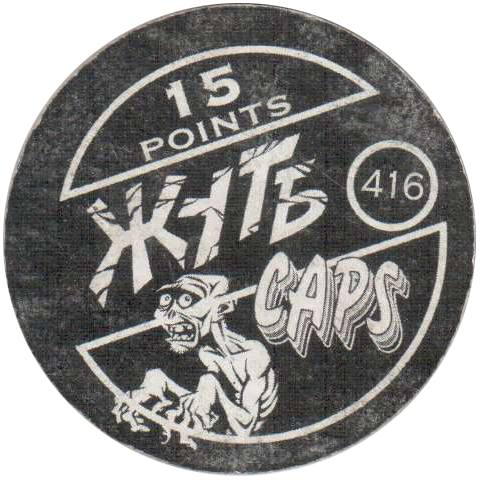 The caps feature various 'horror' characters on the front, and a point score and the cap's number on the back. 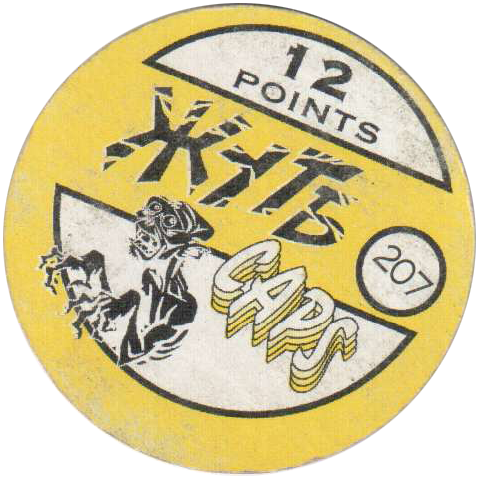 I am not sure how many Жуть caps are available to collect, but the numbering goes over 400. 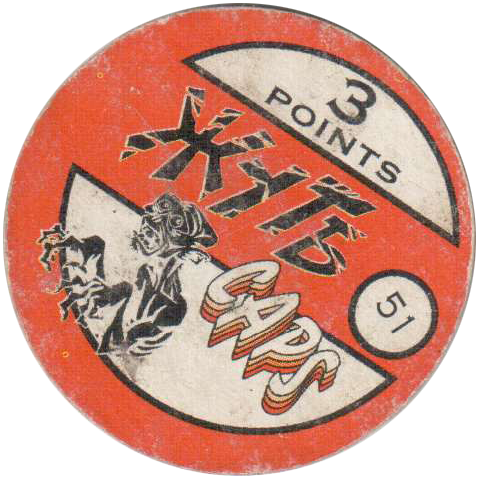 The first lot of caps (maybe 50-100?) 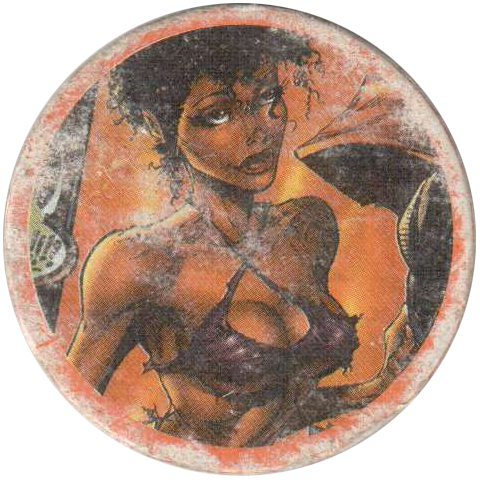 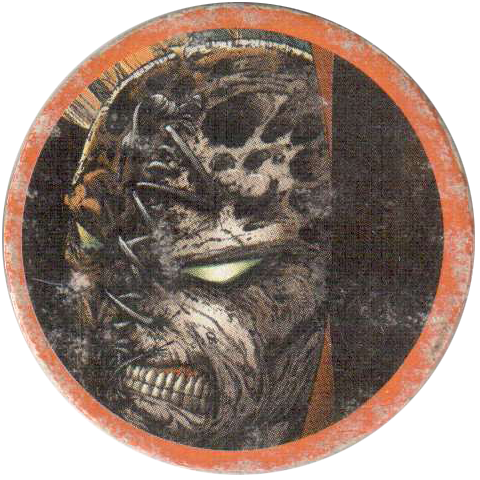 feature characters from the comic Spawn. 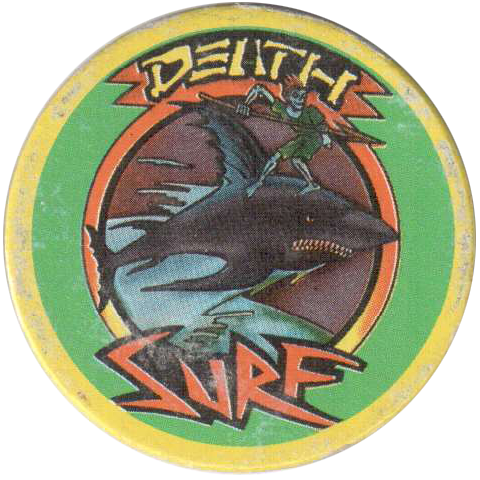 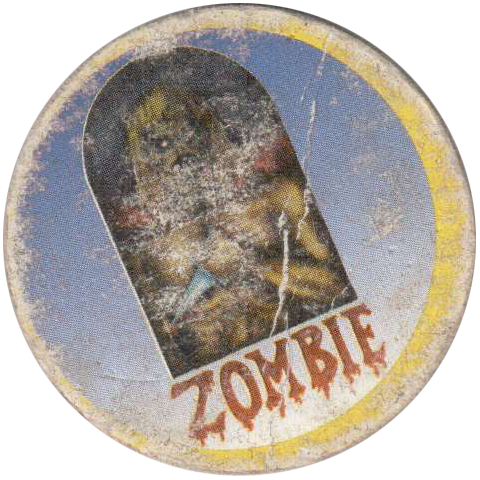 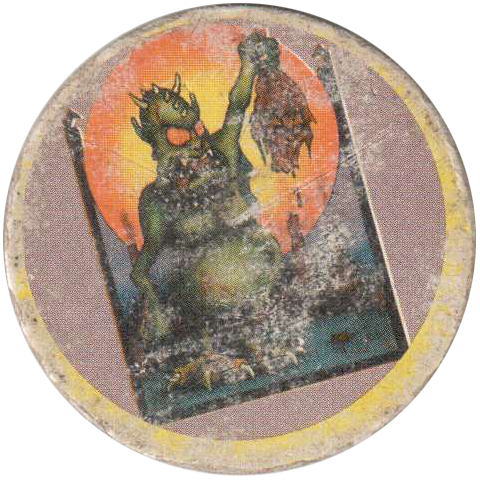 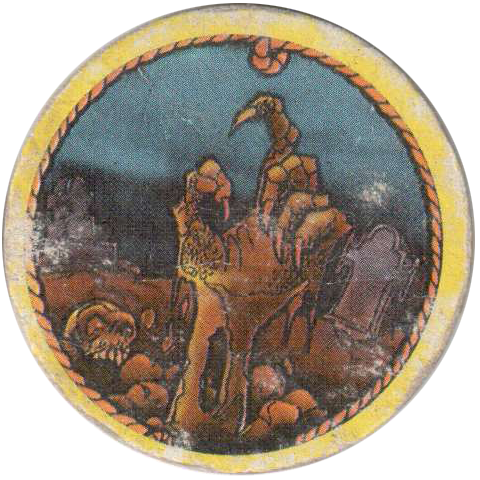 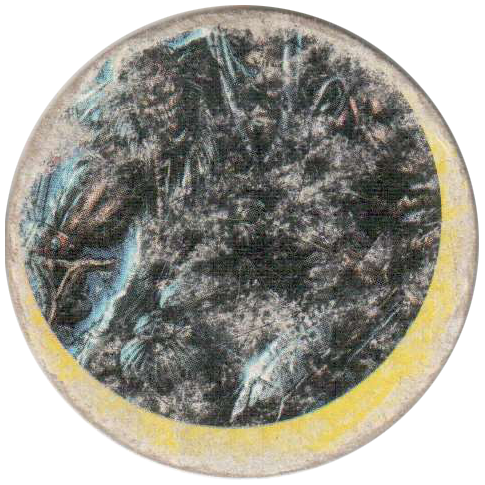 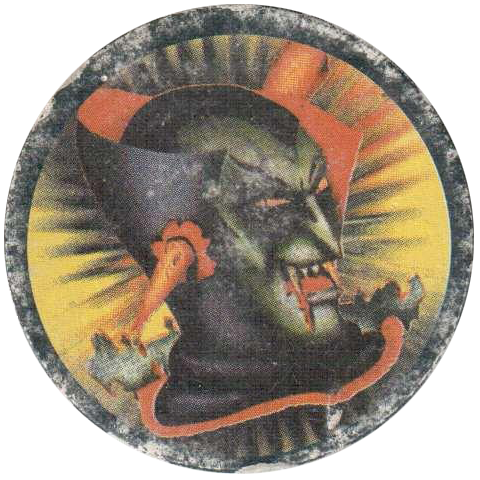 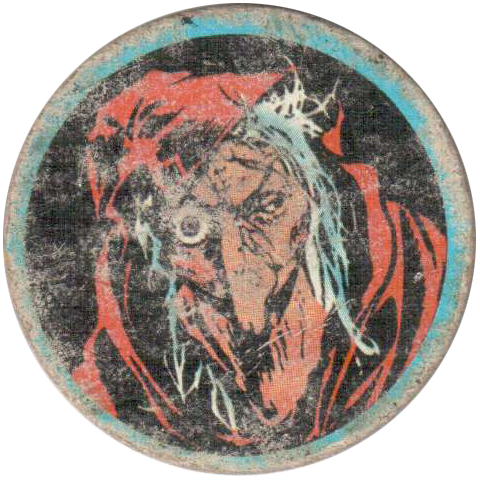 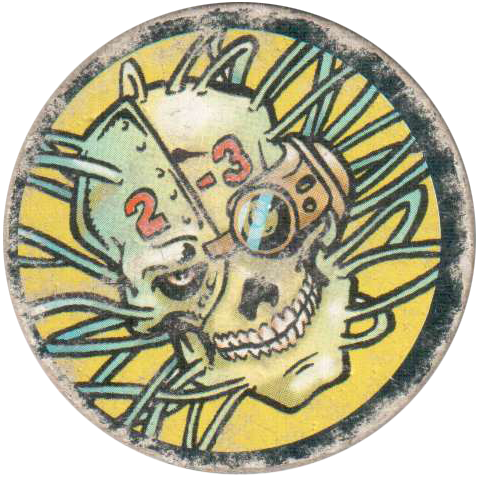 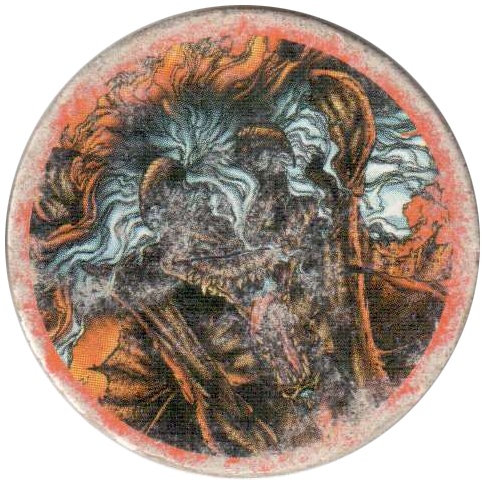 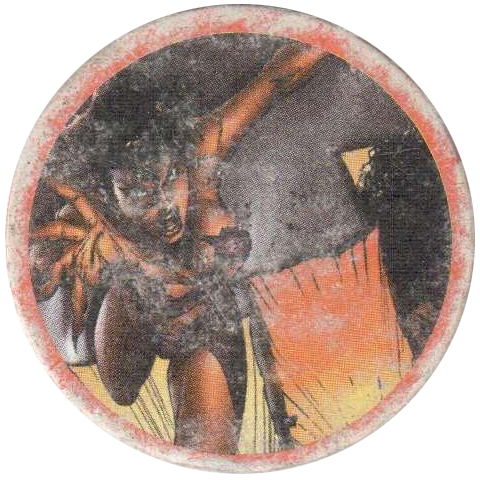 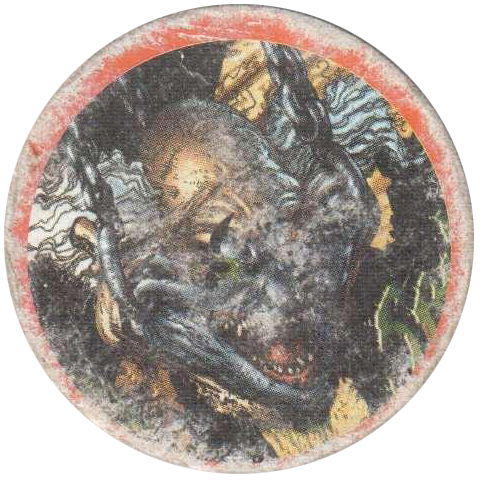 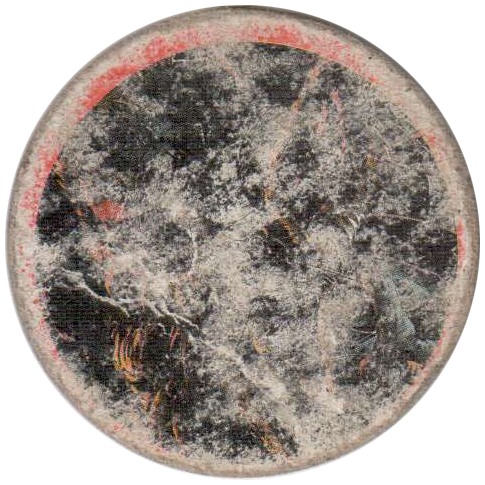 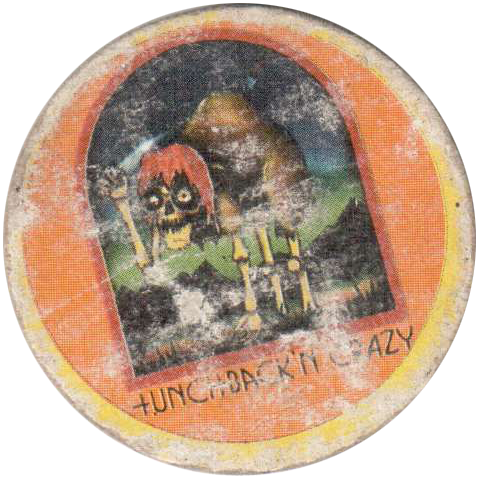 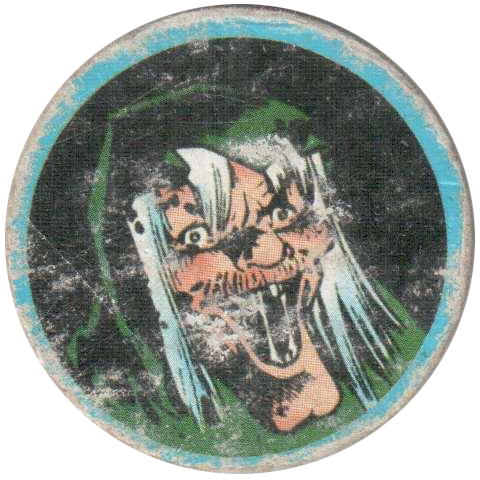 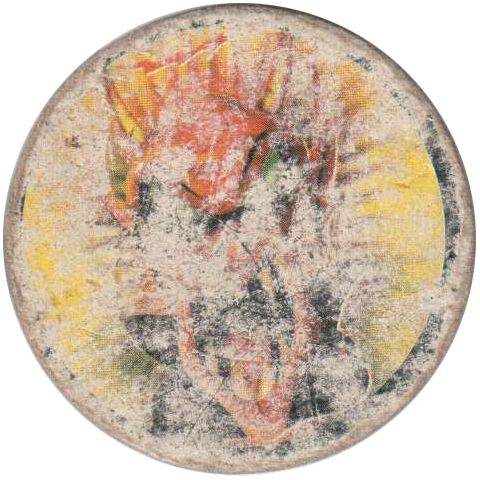 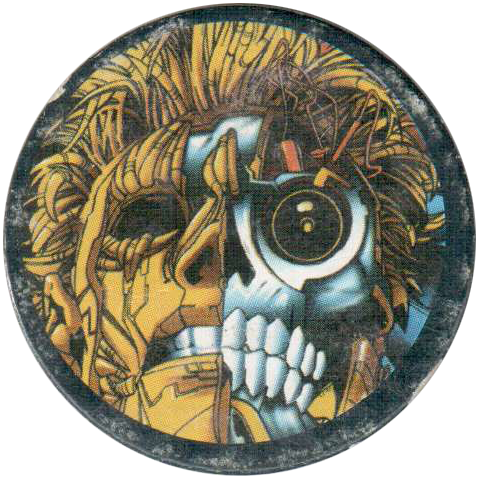 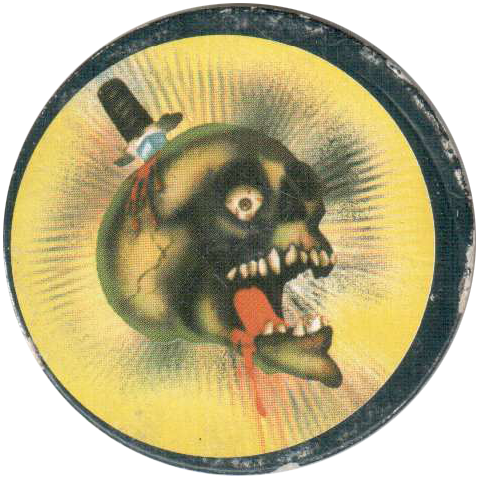 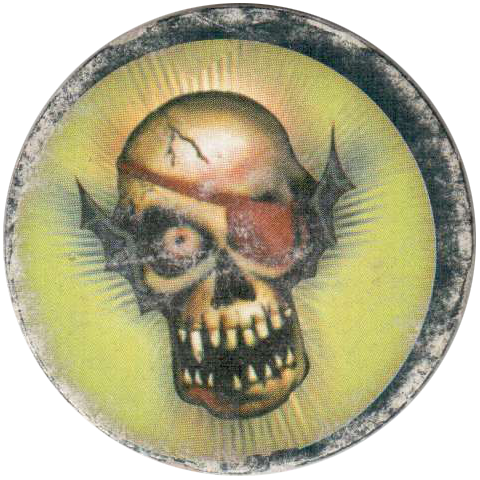 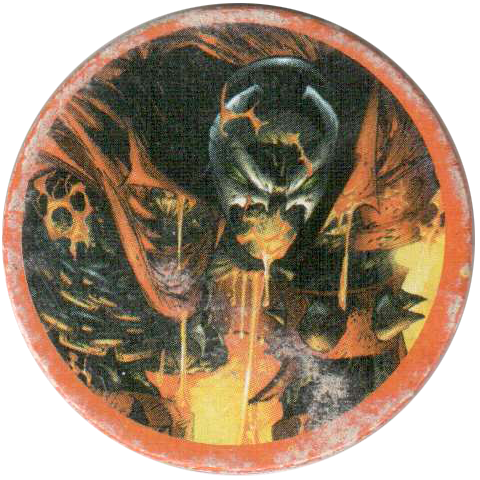 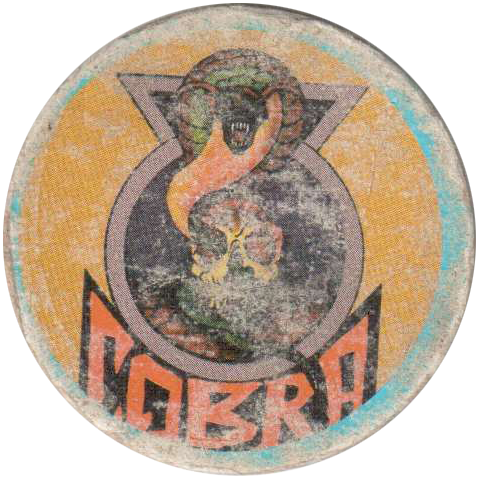 Thanks to Чугайнов Павел for sending me the scans of these pogs. 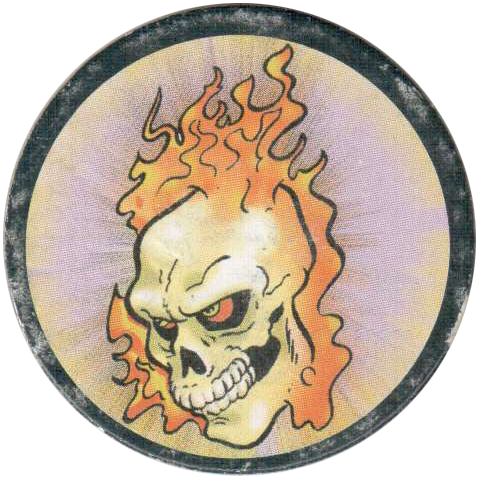 You can find some other scans here: capsgallery.ru - Жуть.